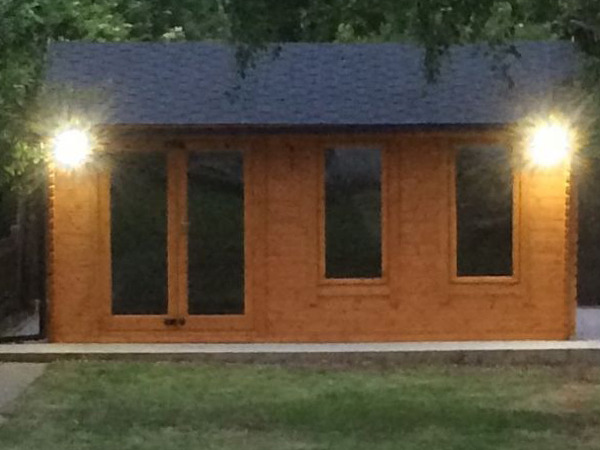 The Bright Gamma is flooded with light thanks to the full pane toughened glass doors and windows dominating three elevations of this log cabin. 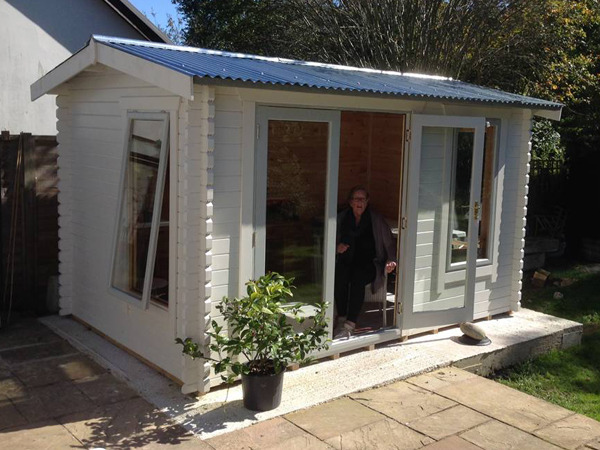 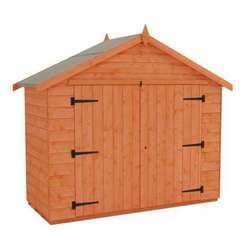 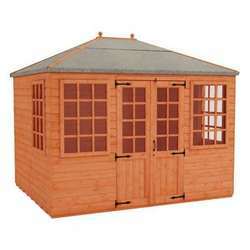 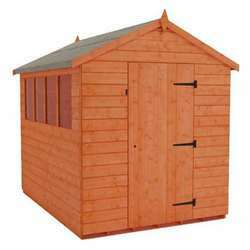 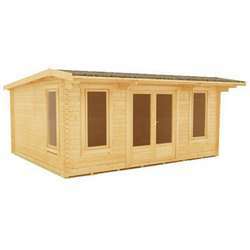 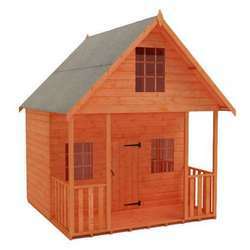 The Gamma 44mm Log Cabin is one of the internally brightest Log Cabins on offer at Tiger Sheds. 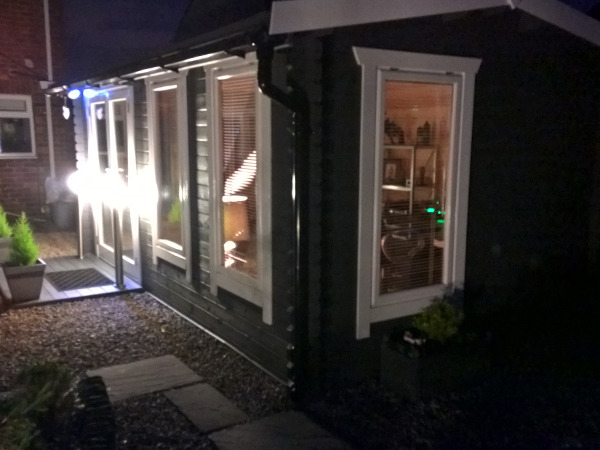 It comes, as standard, with four full pane opening windows. 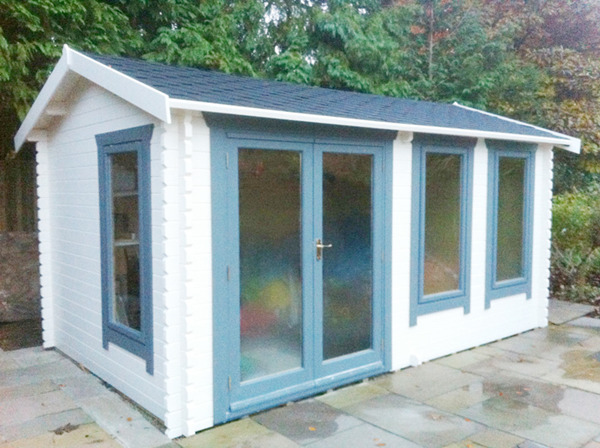 The windows and doors comprise of toughened glazing units, ensuring maximum security, safety and peace of mind. 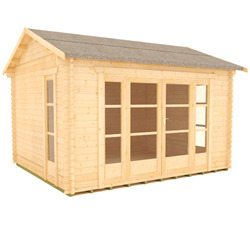 Manufactured by us at Tiger Sheds in the UK, the Gamma Log Cabin like the rest of our log cabin range, is comprised of high quality European Softwood. 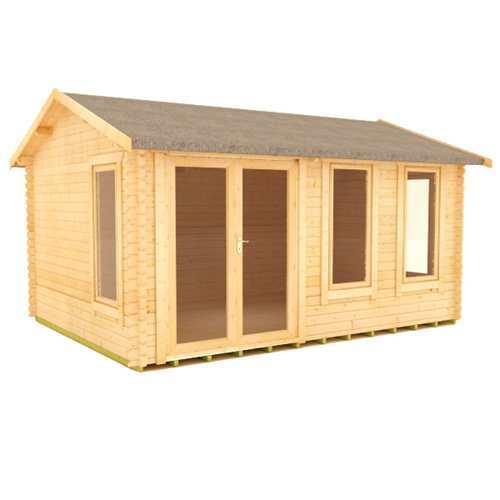 Due to the fine care our manufacturers take over the manufacture of each log cabin in the range you can be assured the Gamma 44mm Log Cabin will arrive to you in supreme quality ready to treat and construct at your leisure and enjoyment. 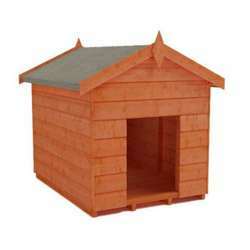 Also equipt with the Gamma log cabin is our standard Heavy Duty mineral felt - meaning all you need is a prepared level base and your prefered preservative. 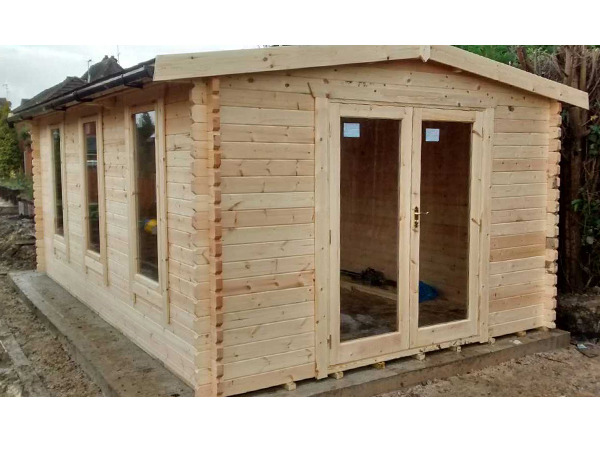 GAMMA LOG CABINS feature high-grade 44mm interlocking planned and finished logs – beware of log cabins that feature rough edged boards machined from poor quality timber. 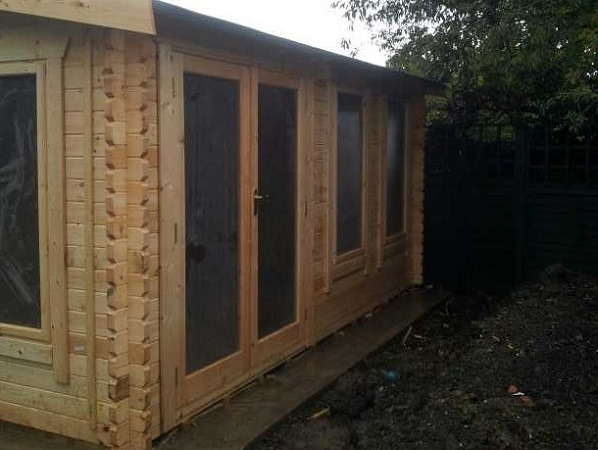 GAMMA LOG CABINS feature a specially designed 4-way chamfered notch-joint system ensuring a tight fit to all boards with little room for damp or wind penetration – beware of log cabins that feature square cut logs with square notch-joint, often leaving a sloppy joint with large visible gaps. 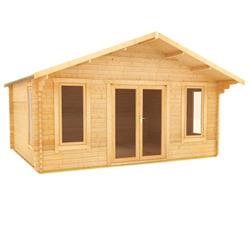 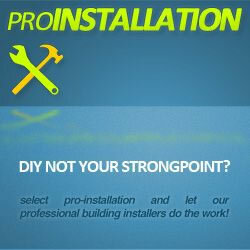 GAMMA LOG CABINS feature factory fitted pressure treated weatherproof heavy duty floor joists – beware of log cabins with untreated floor joists which offer no protection against damp penetration at floor level or worse still log cabins that come with no floor joists at all. 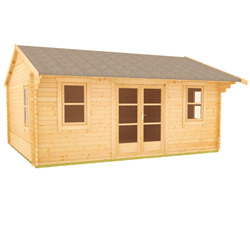 GAMMA LOG CABINS feature heavy duty green mineral roofing felt as standard, with the easy option to upgrade to premium quality roof shingles – beware of log cabins that come with no roof covering, leaving the log cabin completely open to the elements. 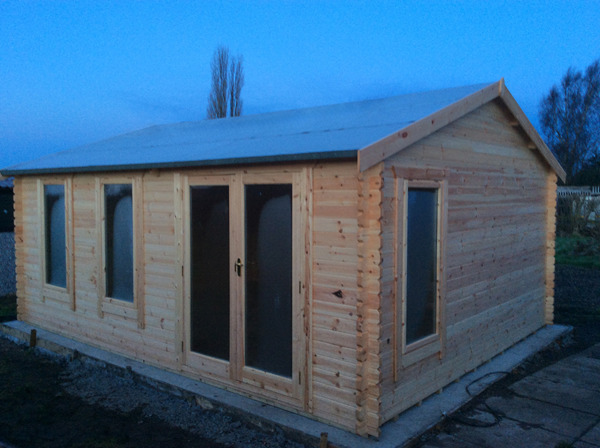 GAMMA LOG CABINS feature oversized extra large doors and windows – most competitor buildings use narrow doors which can prove difficult for access. 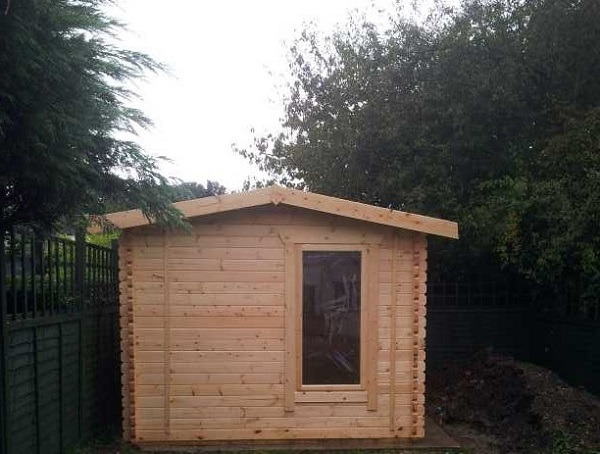 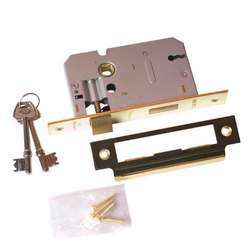 GAMMA LOG CABINS feature specially designed full length windows and all doors and windows are professionally draft sealed – beware of cheap, ill-fitting doors and windows that cannot be properly secured and are susceptible to the weather. 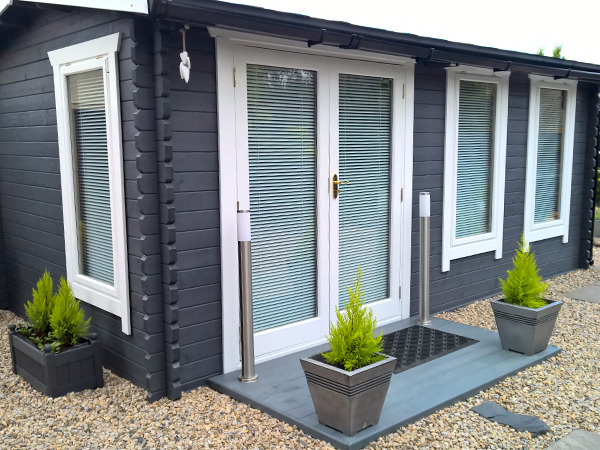 GAMMA LOG CABINS feature high quality glazing which is factory siliconed and internally beaded to all doors and windows – beware of log cabins that feature lesser quality materials and provide no window beading. 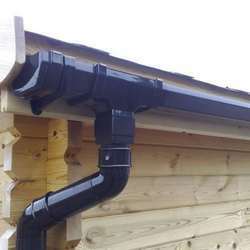 GAMMA LOG CABINS feature a generous all round roof overhang which protects the building from severe conditions – beware of log cabins with little or no roof overhanging leaving them vulnerable to the wind and rain. 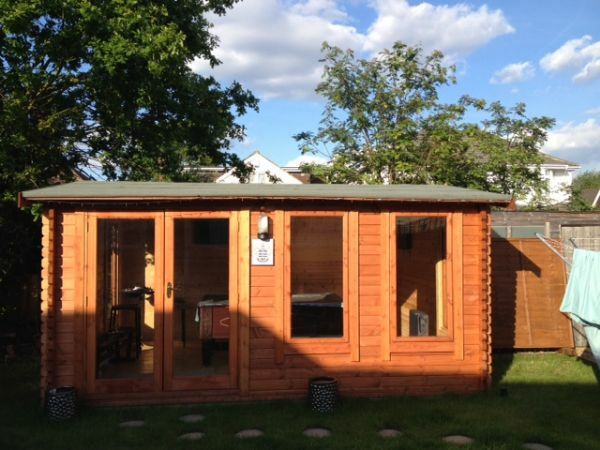 It is essential that Tiger log cabins are assembled strictly in accordance with the instructions supplied on a firm and level base constructed from a suitably durable material. 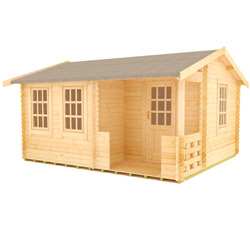 Tiger log cabins should also be treated as soon as is practical after assembly and then annually thereafter with an appropriate high quality preservative.